The license for the Gardens Casino in California could be under jeopardy due to state gambling officials claiming that the casino is not eligible for a license as a result of it having admitted previously to violating federal anti-money laundering law. Gardens Casino can continue to operate under a provisional license valid until Nov. 30, 2018 according to California Gambling Control Commission spokesman Eric Petosky. The license was issued after a review by the Commission in mid-November. Officials from California Bureau of Gambling Control have however pointed out in a document dated Oct. 17 that the casino and its key executives should not be allowed to operate a casino as they have earlier failed to comply with federal laws. A hearing is scheduled to be held to settle the issue although no specific dates have been given. Financial regulatory body Financial Crimes Enforcement Network (FinCEN) had levied a fine of $2.8 million on the casino in July 2016 to settle charges related to violation of the Bank Secrecy Act. The law contains provisions that aims to control money-laundering or other such illegal transactions in casinos.It requires casinos to document and self-report all relevant transactions, particularly those in cash. One of the key reporting rules requires casinos to report all cash transactions over $10,000. 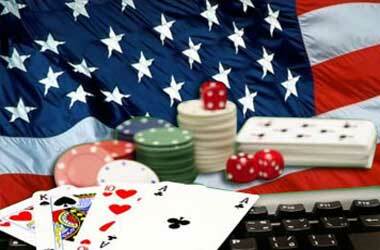 The settlement agreement between FinCEN and Gardens Casino involved the casino admitting to the alleged violations. Apart from the fine, the settlement also required the casino to submit a risk assessment report and appoint an external auditor. Gardens Casino is completing a $90 million renovation involving the development of a new building and facilities such as a gaming space for 5,000 to 7,000 customers, a private VIP gaming area and a large kitchen.